When it comes to New Year’s resolutions, half (50%) of those who make them give up within just one month or less – with only 8% sticking to them all year – according to new research from protein-based snack purveyor, Fridge Raiders. This year, 60% of us have forgone the ‘new year, new me’ promises completely, due to lack of success. The majority (71%) of UK adults have previously made fitness-focused resolutions; unfortunately, 86% of these confess to breaking them before the year is out. We fail, not because we don’t want to get fit, but because a third of us (32%) lose motivation and a fifth (21%) are just too busy. Of the quarter (23%) of UK adults that have a gym membership, just 12% go regularly; this rises to 18% in those aged 18-34. So, what really stops us going to the gym? 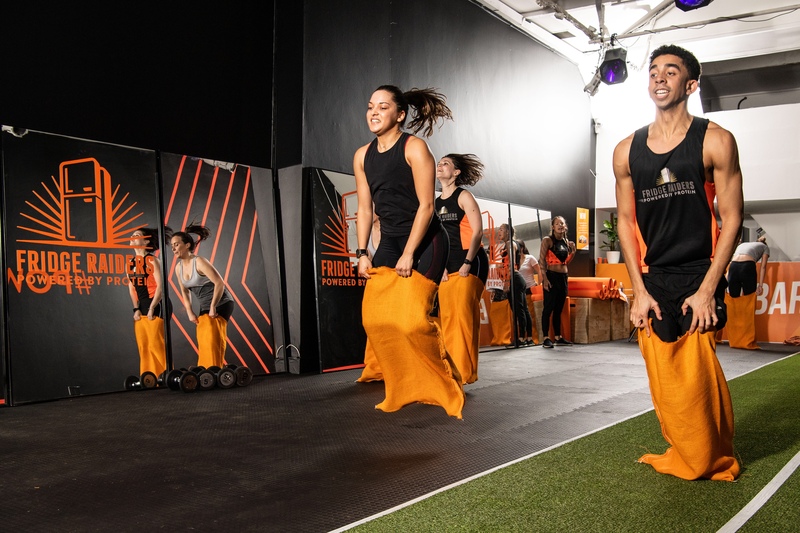 At Power Play, all 45-minute classes are absolutely free (just sign up via Eventbrite here: https://www.eventbrite.co.uk/e/fridge-raiders-powerplay-tickets-54965342820).